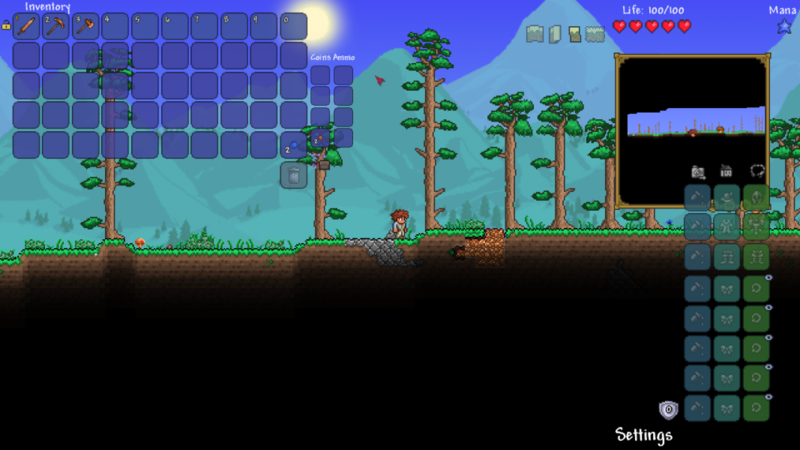 The game is a 2D adventure game. 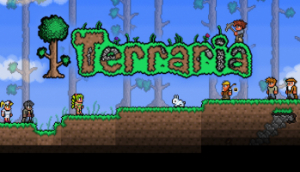 It features exploration, crafting, construction, and combat with a variety of creatures in a randomly generated world. 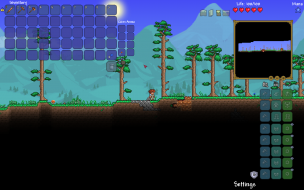 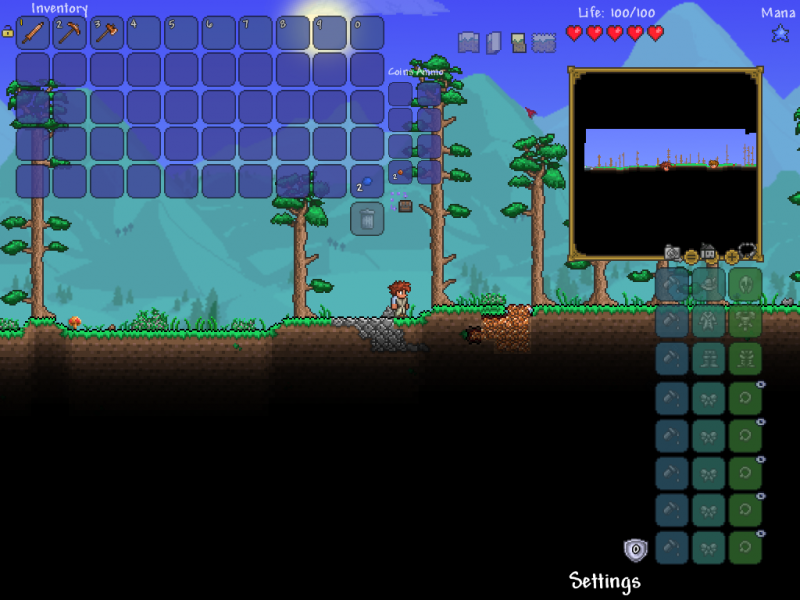 Resolutions up to 1920x1200; for higher resolutions use RomTerraria. Higher resolutions show more of the world. HUD/UI does not increase in size at higher resolutions.